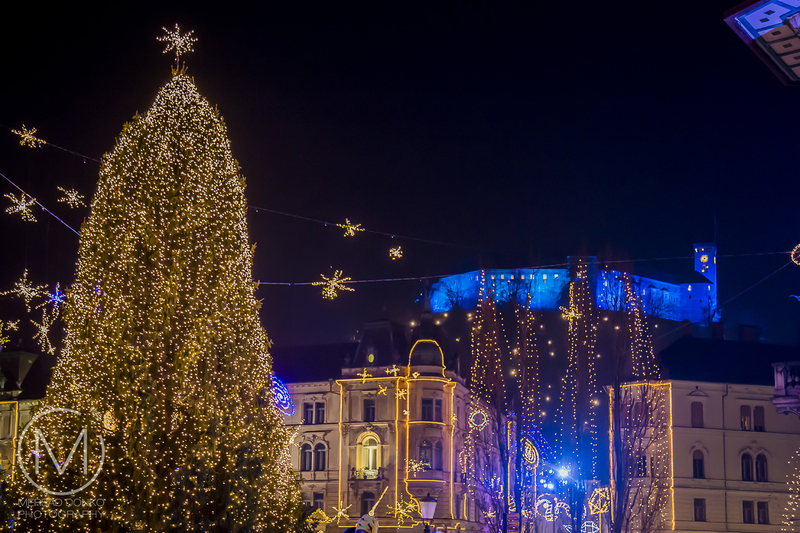 I am pretty late with this, since the Christmas Season is long gone, but I couldn't not share these wonderful night sights from Ljubljana the capital city of Slovenia. 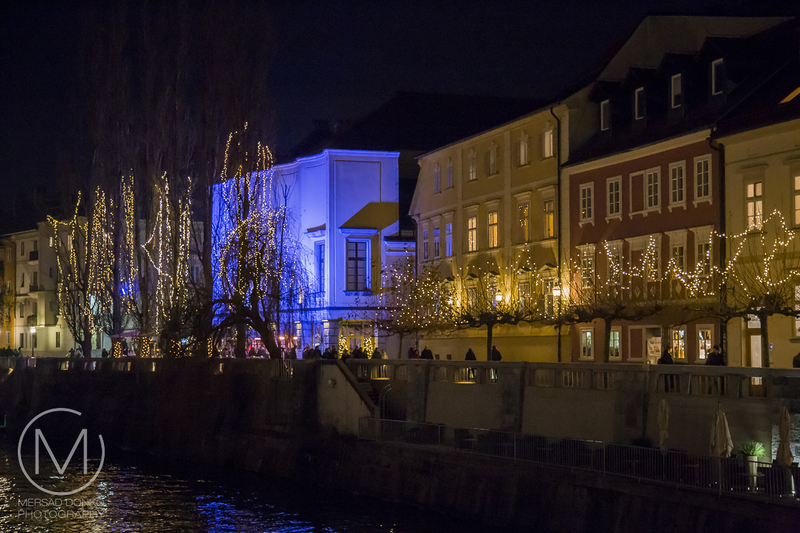 This was part of my trip to Munich and Salzburg in December last year. 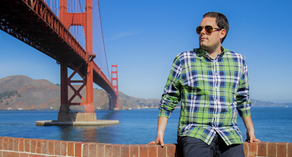 I didn't have a chance to edit the images until now, so I'm presenting you this final part from my trip in this post. Slovenia is a beautiful country, with lovely lakes, mountains, small towns and coastal sights. 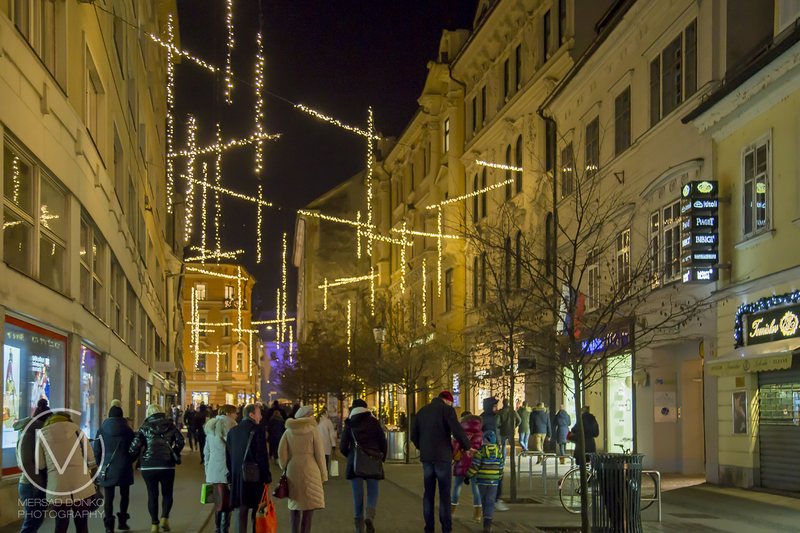 Ljubljana is the capital city, though mostly having a small city feel. 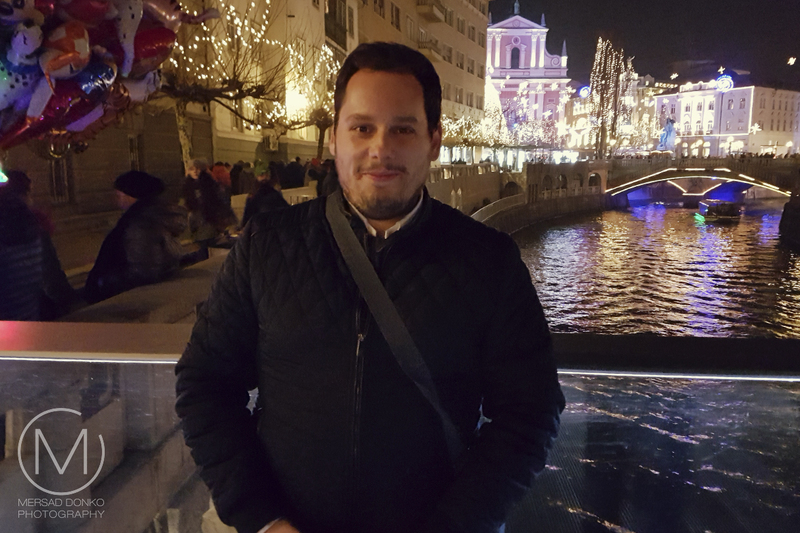 It has a beautiful city center which I got to explore in the night. 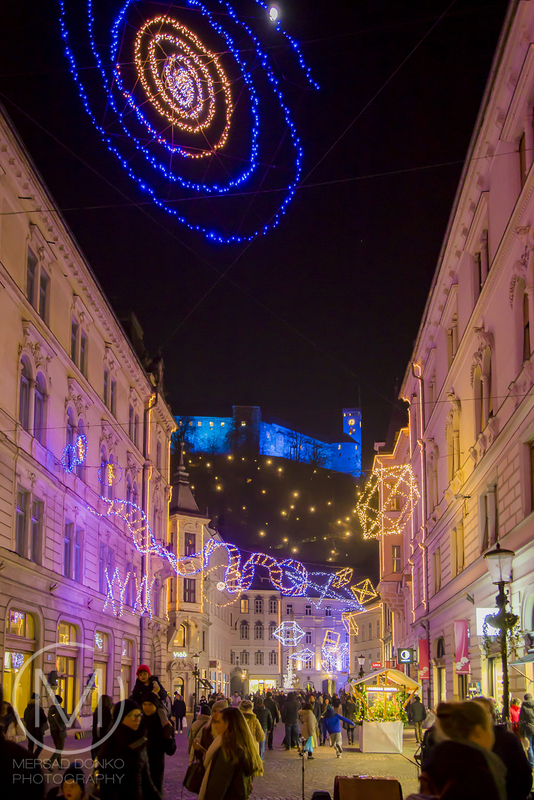 The wonderful decorations truly transformed Ljubljana into a winter wonderland. 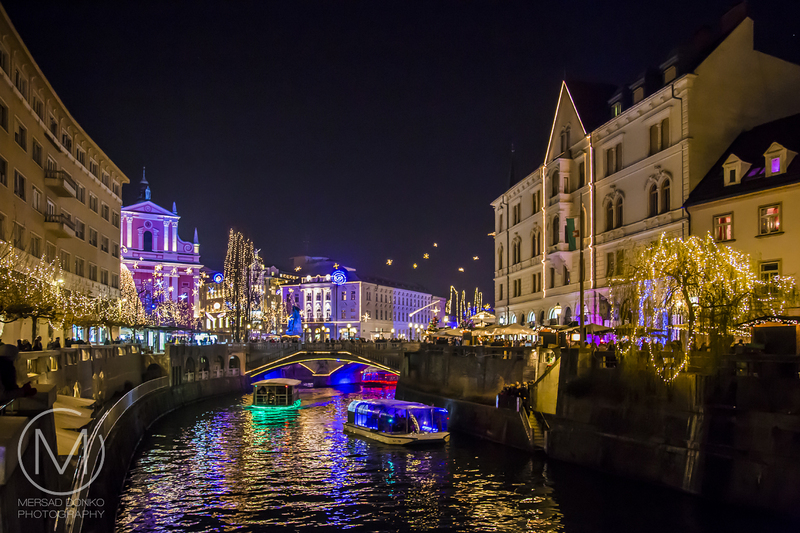 Ljubljana is Slovenia's capital and largest city. 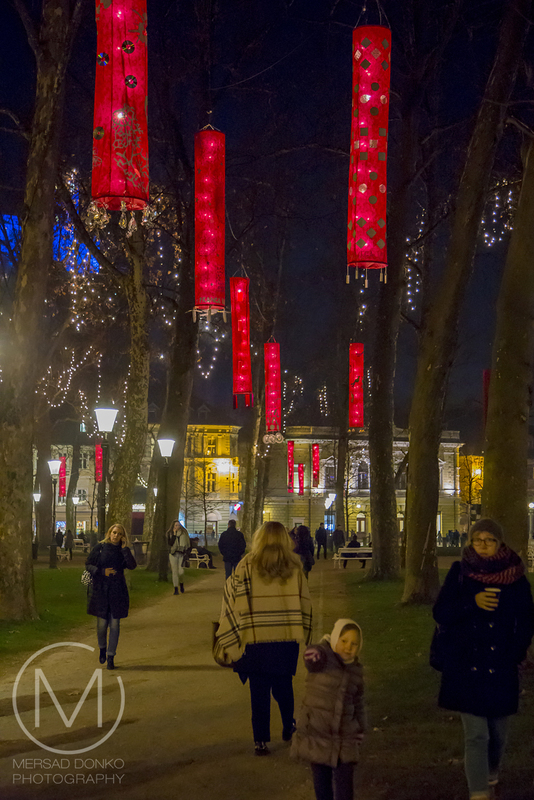 It's known for its university population and green spaces, including expansive Tivoli Park. 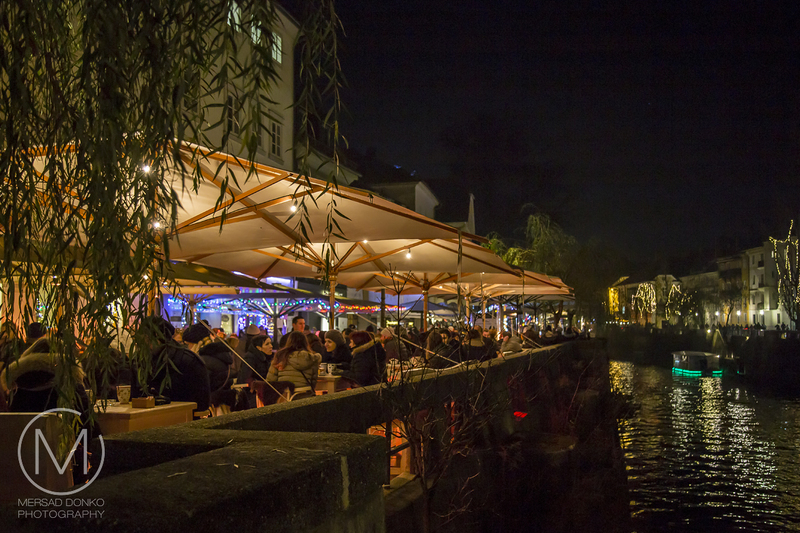 The curving Ljubljanica River, lined in outdoor cafes, divides the city's old town from its commercial hub. 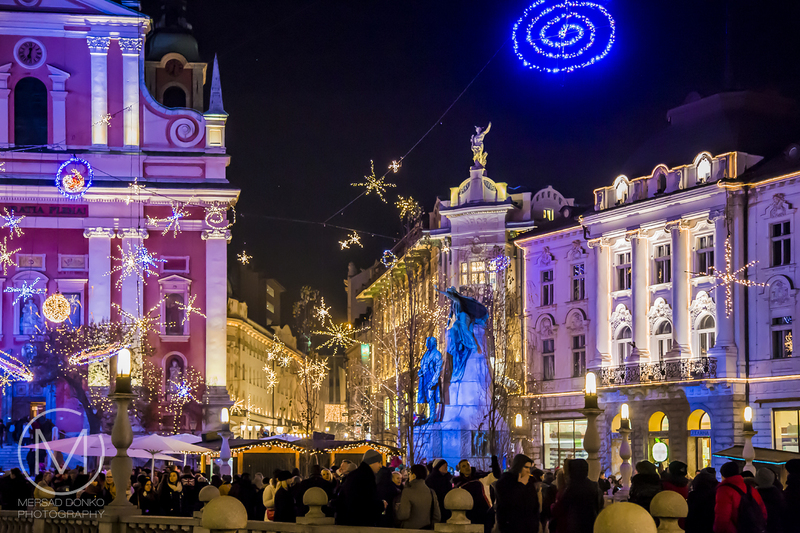 Ljubljana has many museums, including the National Museum of Slovenia, displaying historic exhibitions, and the Museum of Modern Art, home to 20th-century Slovene paintings and sculptures. I couldn't grasp the amazing feel in the night. The city has outdone itself in terms of decoration. 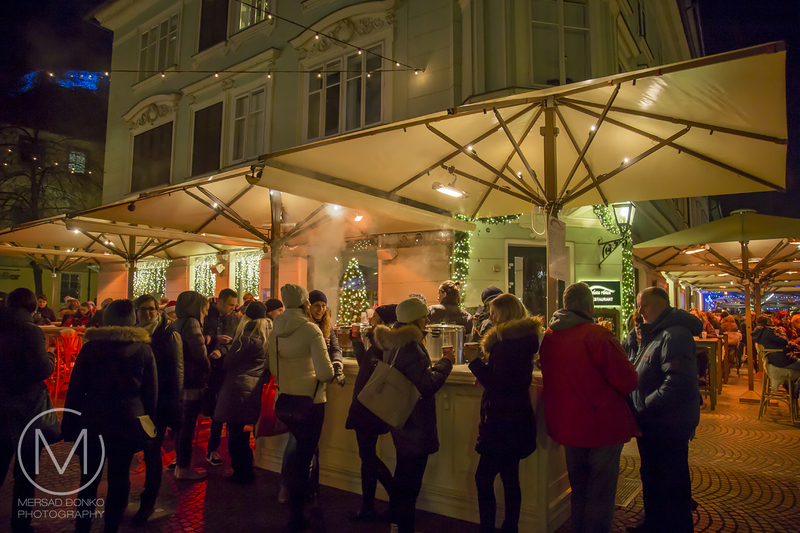 It was even better then in Munich or Salzburg, cities know for their Christmas markets and decorations. The theme was "Universe" with stars flickering throughout the inner part. 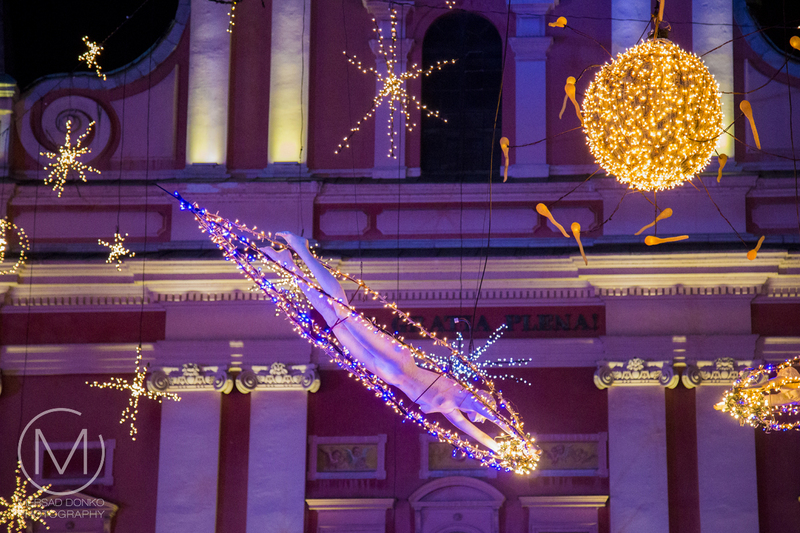 The bridges and outer walls of the surrounding buildings were decorated as well, and strings were hung from building to building in order to create the illusion of more stars hanging in the air. 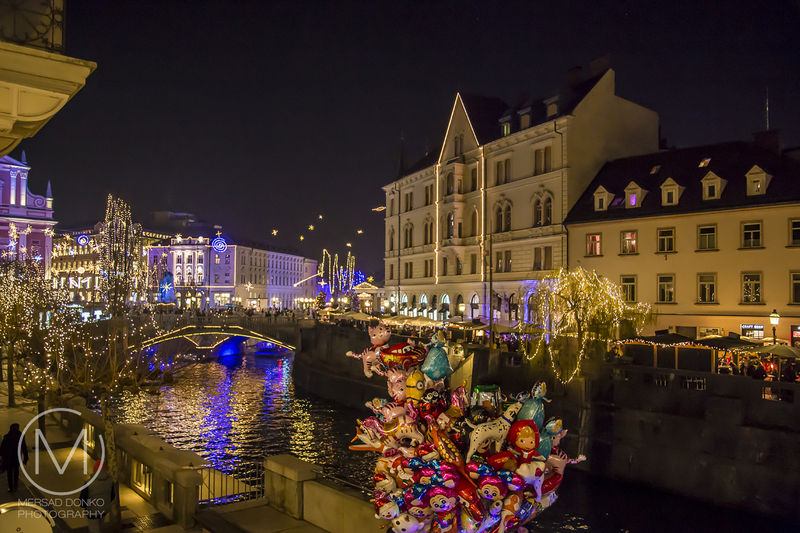 The Triple Bridge is a group of three bridges across the Ljubljanica River. 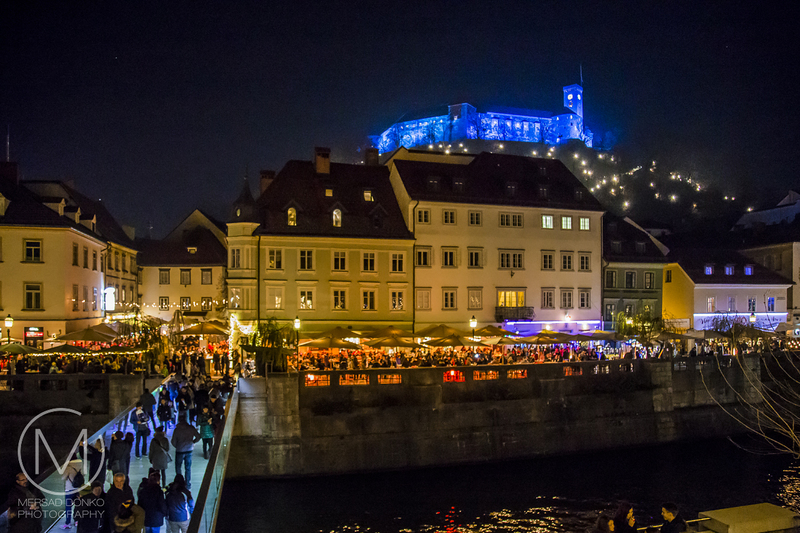 It connects the Ljubljana's historical, medieval, town on one bank, and the modern city of Ljubljana, capital of Slovenia, on the other. 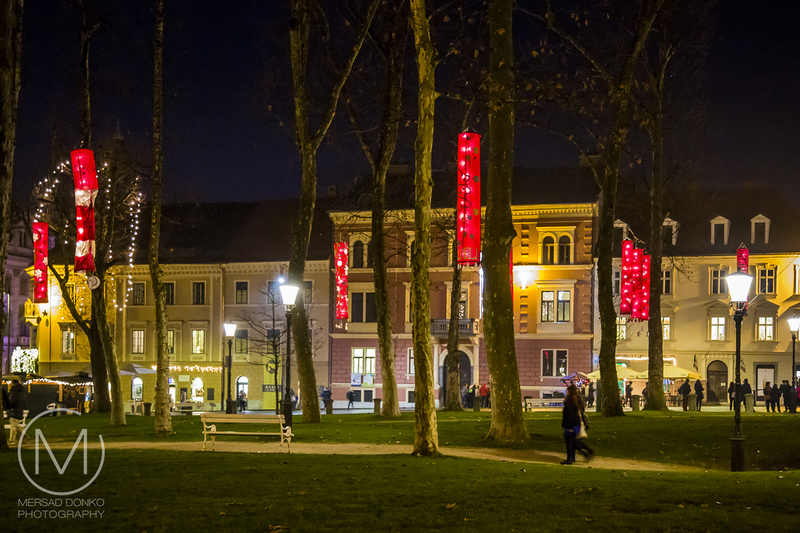 Tivoli City Park or simply Tivoli Park is the largest park in Ljubljana. It is located on the northern outskirts of the Center District. A glass cube transports visitors up to this symbol of the city with its permanent history exhibit. 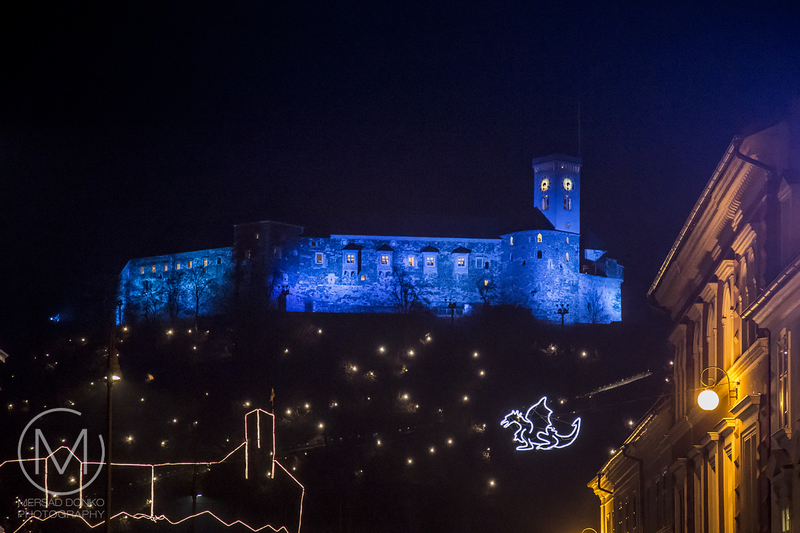 You can see the castle lit up in blue color overlooking the city. Originally, Ljubljana Cathedral was a Gothic church. In the early 18th century, it was replaced by a Baroque building. 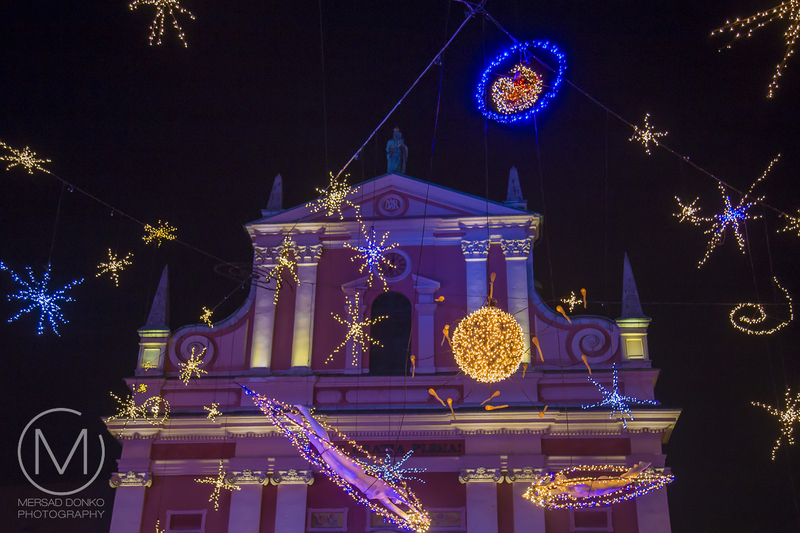 It is an easily recognizable landmark of the city with its green dome and twin towers and stands at Cyril and Methodius Square (Ciril-Metodov trg). This Cathedral has an amazing copper door that was placed there in 1996 to honor the visit of Pope Francis II. The parish church of Ljubljana. Amazing sight at night (see last picture). Its red color is symbolic of the Franciscan monastic order. Since 2008, the church has been protected as a cultural monument of national significance of Slovenia. The Dragon Bridge is a road bridge located in the inner city. 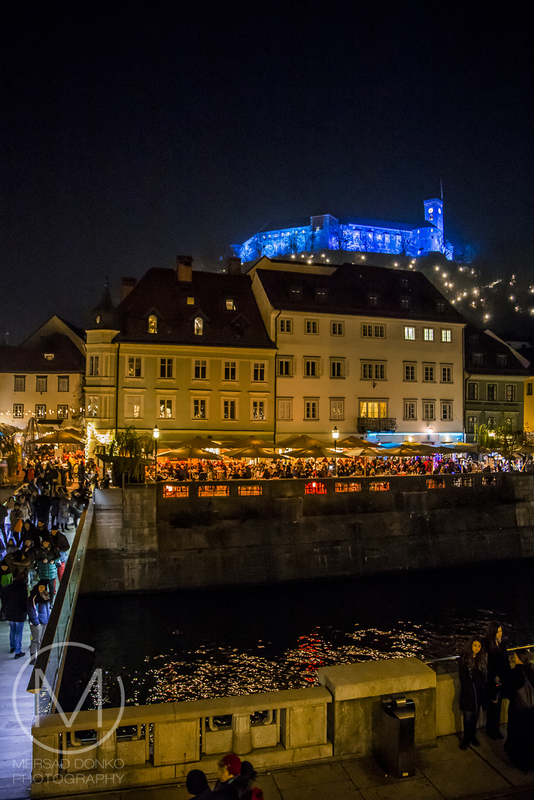 It crosses the Ljubljanica River. between Kopitar Street and Ressel Street. The dragon is the symbol of the city. 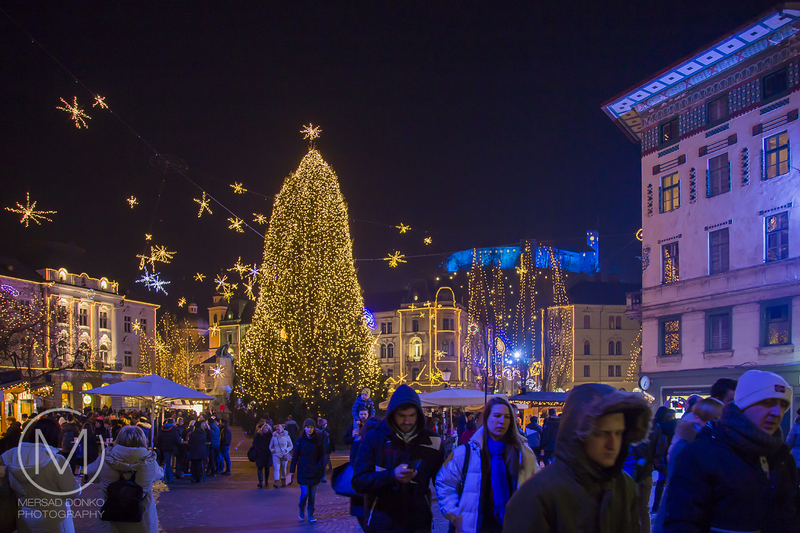 Existing already in the 18th century, the Ljubljana central square, the Prešeren Square's modern appearance has developed since the end of the 19th century. 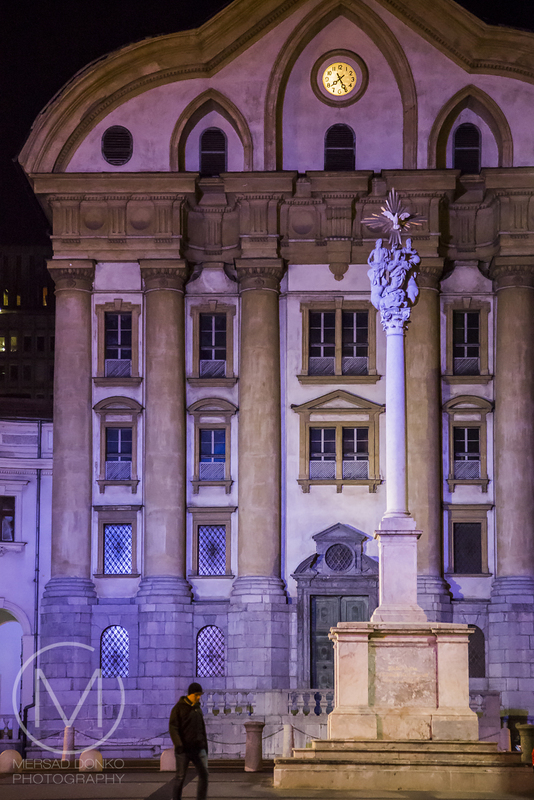 After the 1895 earthquake, Max Fabiani designed the square as the hub of four streets and four banks, and in the 1980s, Edvard Ravnikar proposed the circular design and the granite block pavement. 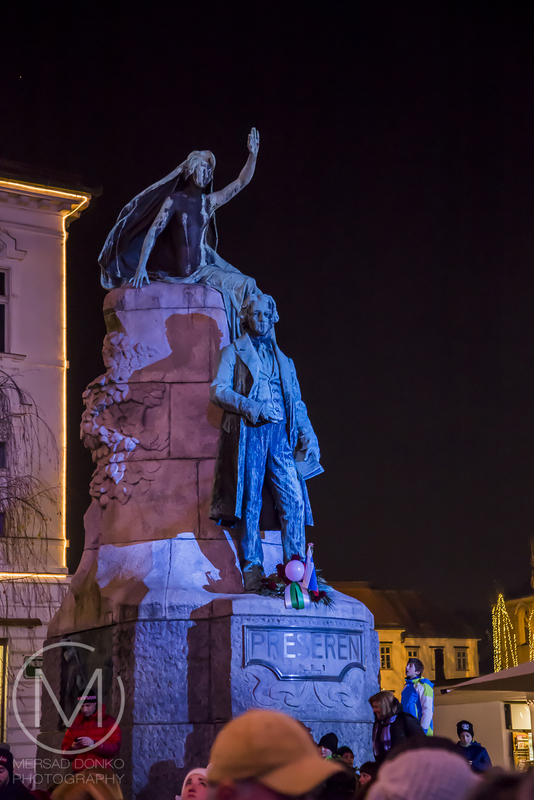 A statue of the Slovene national poet France Prešeren (image above) with a muse stands in the middle of the square. The Prešeren Monument was created by Ivan Zajec in 1905, whereas the pedestal was designed by Max Fabiani. The square and surroundings have been closed to traffic since 1 September 2007. Only a tourist train leaves Prešeren Square every day, transporting tourists to Ljubljana Castle. 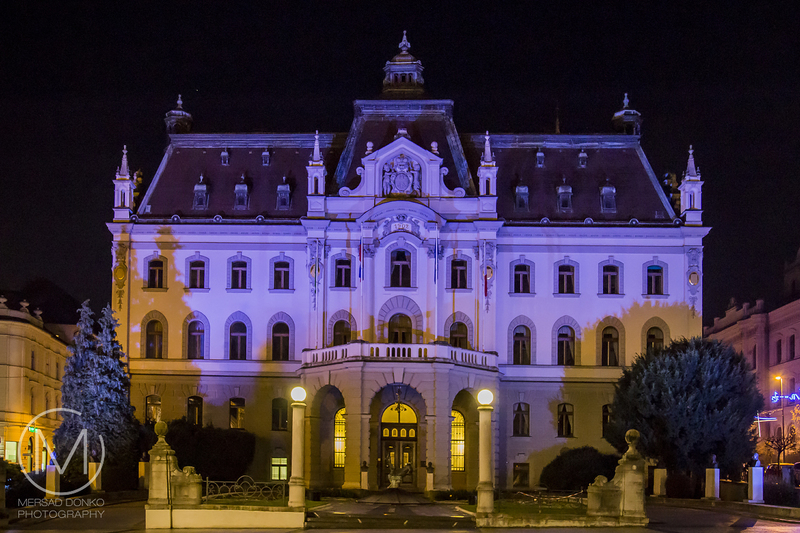 I hope you enjoyed these night shots from Ljubljana. 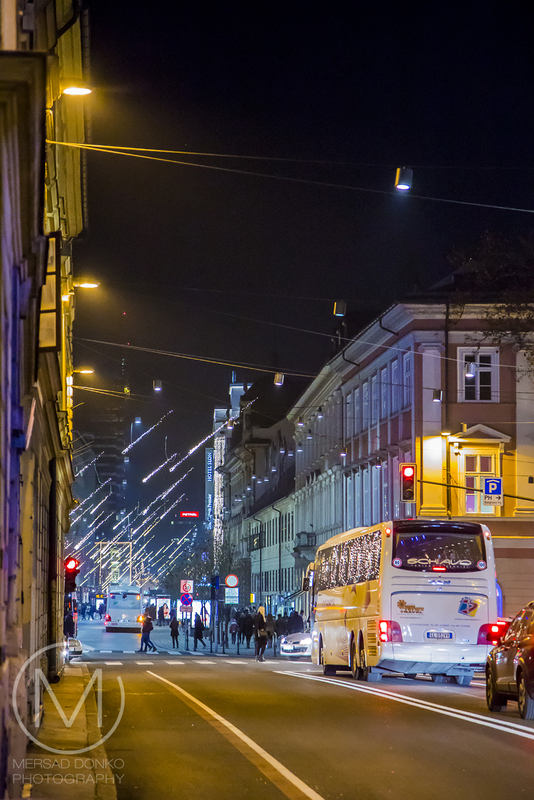 Would you enjoy a nightly stroll through the city? Wow! You were in exactly the right place to use your night photography skills. Your photos are breath taxingly beautiful. So glaf you enoyed these. Thanks for stopping by. Thank you so much. It's still cold so we get to enjoy them still. Tolle abendlicher Bilder, die machst du immer so gut! Yes she is from Slovenia, not sure which city :) Thanks Sandra. All the starry lighting is amazing! And I love the different colors of lights on the buildings. What a fun place to be during the holidays! What a bustling and beautiful European city! I'm so glad you decided to share these with us, better late than never. The architecture is stunning and I can sense the happy and peaceful Christmas spirit in the people out and about, enjoying themselves. Though very cold people really did enjoy themselves. There were so many of then out there in the streets. Lovely, but Christmas seems like months and months ago. I suspect our festive feelings were marred by a big orange clown. But--- you are indeed the King of Night Shots! Yeah I know. There wasn't much time to enjoy the festivities over there I'm sure. Absolutely fabulous night shots, Mersad! You have captured the beauty and of this quaint town! Zelo lep članek, hvala za tole. Fotografije so mi zelo všeč, odlično nočni posnetki, bravo!